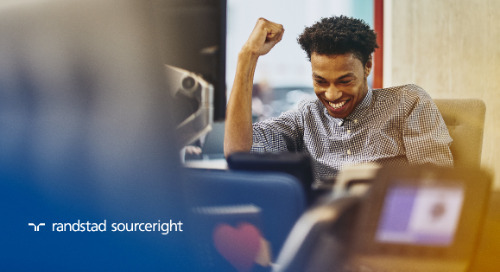 Home » Randstad Sourceright Insights » payroll solution case study: delivering talent to one of the world’s largest logistics businesses. As a consumer, you might think e-commerce may be the most wonderful way to shop. Launch an app or web page, and within minutes, you’ve made your purchase and will receive your product shortly. While it may seem effortless, a sophisticated logistics ecosystem ensures your order is processed, tracked and arrives on time. The linchpin, of course, is the driver that gets the product to your door. With U.S. e-commerce growing at double digits annually, keeping up with demand for drivers has become one of the biggest challenges for a leading global delivery and logistics giant. This is especially true during the holiday season when this company processes more than 200 packages every second at its peak. Imagine the pressure talent leaders face when attracting, engaging and deploying talent who must meet the increasing demands for immediate delivery. Facing annual double-digit growth in its business for the past decade, the client has been expanding both facilities and its workforce drastically. Its growing pains have been centered on the payrolling of talent, especially temporary drivers during the peak season. In each of the past several years, e-commerce has gained a greater share of holiday sales. As a result, demand for seasonal drivers can increase by as many as 19,000 in the final four months of the holiday period. 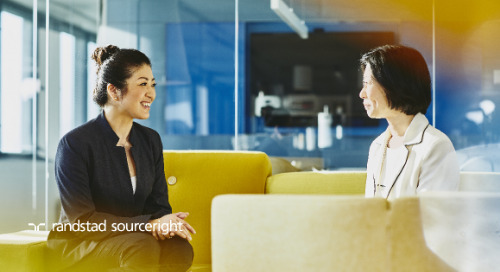 When the company implemented a multi-supplier payroll solution eight years ago, it chose three partners to serve its needs in North America. Over time, this arrangement proved to be complex. It required extensive effort to coordinate the multiple parties that supported more than 900 distribution centers in the U.S. and Canada. Beginning in 2015, the logistics giant began implementing two strategic initiatives that would lead to significant changes in its current solution. The first step called for decreasing dependence of internal distribution center labor, while simultaneously increasing reliance on independent contract (IC) labor to deliver packages. Today, over 5,800 small independent contract labor firms are engaged annually to deliver up to 80% of all packaged deliveries. The second step was to simplify, consolidate and optimize the existing payroll solution. 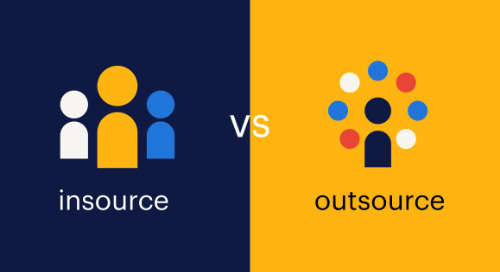 This would drive greater value around internal talent acquisition processes and support the company’s growing relationships with independent contractors. 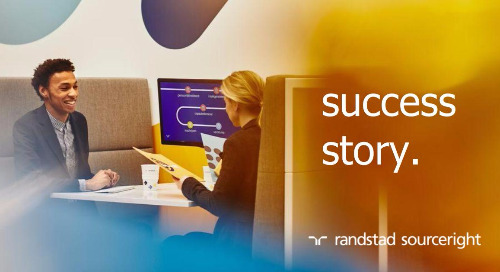 In 2018, the company chose to consolidate payrolling services to a single program provider, Randstad Sourceright. 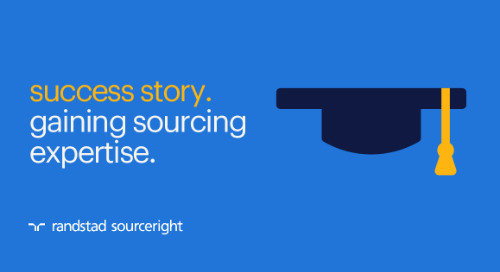 This reduced multiple supplier complexity, while simultaneously adding critical driver candidate sourcing services to the program. The solution was designed to increase agility for seasonal demands and streamline hiring processes. The solution provides increased resource scalability and integrates the hiring process with critical Department of Transportation (DOT) background check processors. It also simplifies billing, and delivers candidate pooling and reporting analytics. 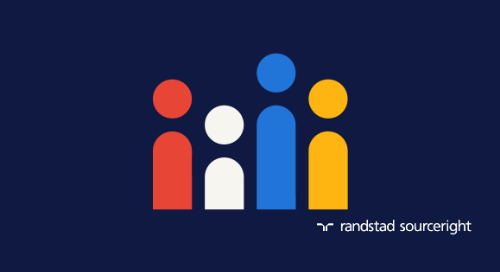 During the long-running relationship with Randstad Sourceright, more than 20,000 temporary drivers have been payrolled. 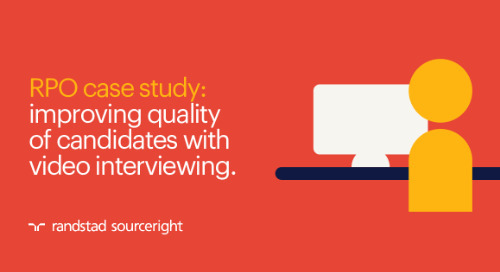 With the addition of candidate sourcing services to the solution, we have sourced and screened more than 8,000 applicants. Of those, 3,400 were prequalified to fill approximately 1,300 seasonal driver positions during the four-month peak holiday seasons in 2017 and 2018. With the new solution in place, the company’s internal talent acquisition specialists have shifted focus. 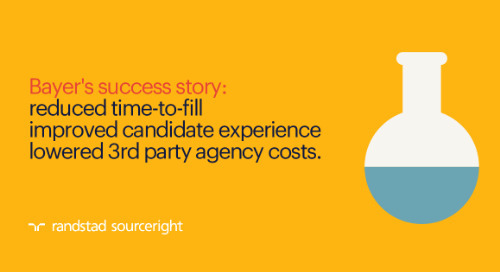 Previously, they completed all candidate sourcing, marketing and engagement activities. Those individuals can now dedicate more effort on value-add tasks and less time on managing multiple vendors. This includes building relationships and becoming logistics and talent advisors. 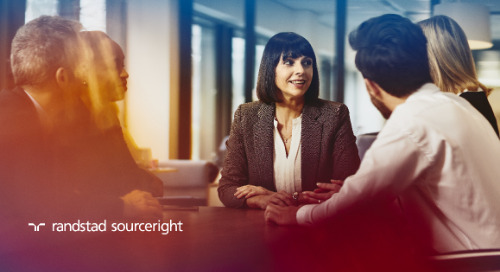 They are better able to support their extensive network of over 5,800 contract service providers (CSPs), who deliver drivers to support client distribution centers. 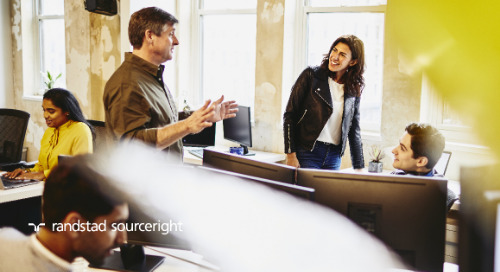 To help the company execute on its new strategy, we developed a change management that transitioned all stakeholders to the single-provider program. 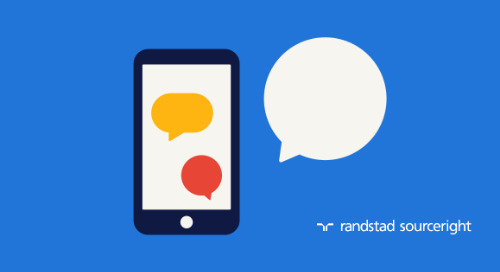 Both Randstad Sourceright and partner talent teams were acclimated to new workflows and support services, and trained on how to use assessments and other technologies. 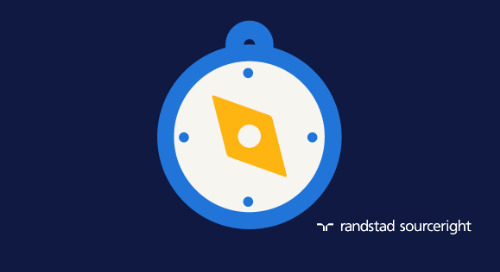 Optimized workflows that allow Randstad Sourceright to directly communicate with preferred DOT background screening vendors: By automating this step, hiring times are shortened. Piloted in 50% of North America in 2018, the process will be extended to all regions in 2019. 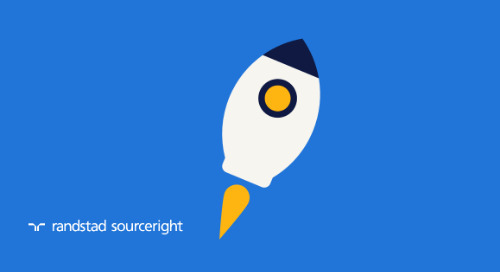 Candidate sourcing, engagement and screening: To enable internal talent resources to concentrate on supporting delivery ground stations, Randstad Sourceright now conducts these processes. The program also qualifies talent, schedules interviews and processes hires for their driving assignments. 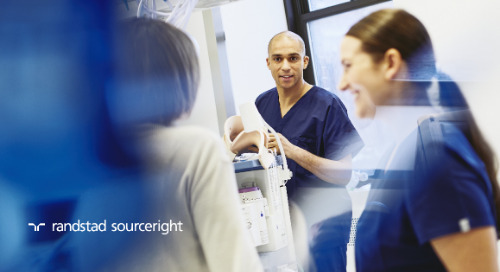 This integrated approach accelerates access to credentialed talent and provides a simplified hiring process. 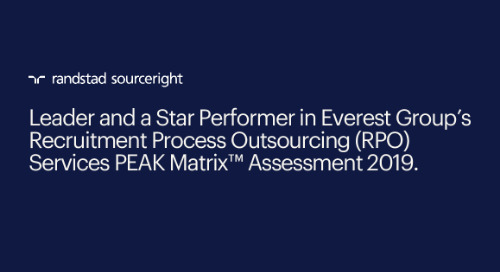 A suite of HR technologies: Sourcing and screening tools were implemented, including GR8 People’s candidate relationship management platform, automated assessments and Montage video interviewing. Increased use of automated scheduling, video screening, and analytics will help the company better manage a larger, more tenured and prequalified driver talent community. This optimized use of technology will deliver talent more quickly, enhance quality of hire and better meet peak talent demands. A consistent hallmark of this long-standing relationship is continuous improvements in services, technology and workflows. 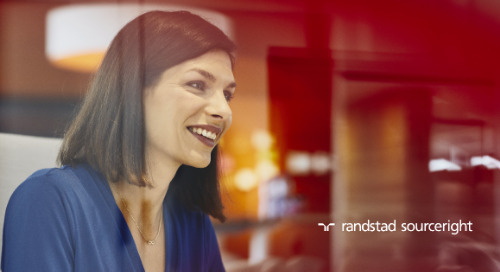 The shift in strategy means CSPs will be able to access Randstad Sourceright’s talent community of prequalified driver candidates. This will accelerate skills acquisition during peak seasons. The CSPs will also have the flexibility to work with temporary and/or permanent hires across the U.S. on a one-time charge or subscription basis. Candidates can also opt in to designated talent pools created for the logistics giant. 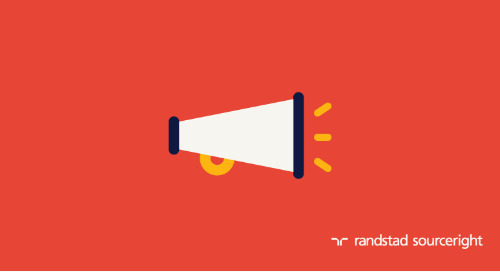 They will may also opt in to other talent communities managed by Randstad Sourceright. Drivers in the talent pool would be considered for open market positions when they are not being utilized by the logistics giant’s talent pool.